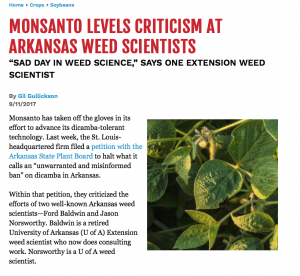 In case you were not up to date on the whole dicamba thing click here. Posted by loux.1@osu.edu at 9:45am Bookmark the permalink. 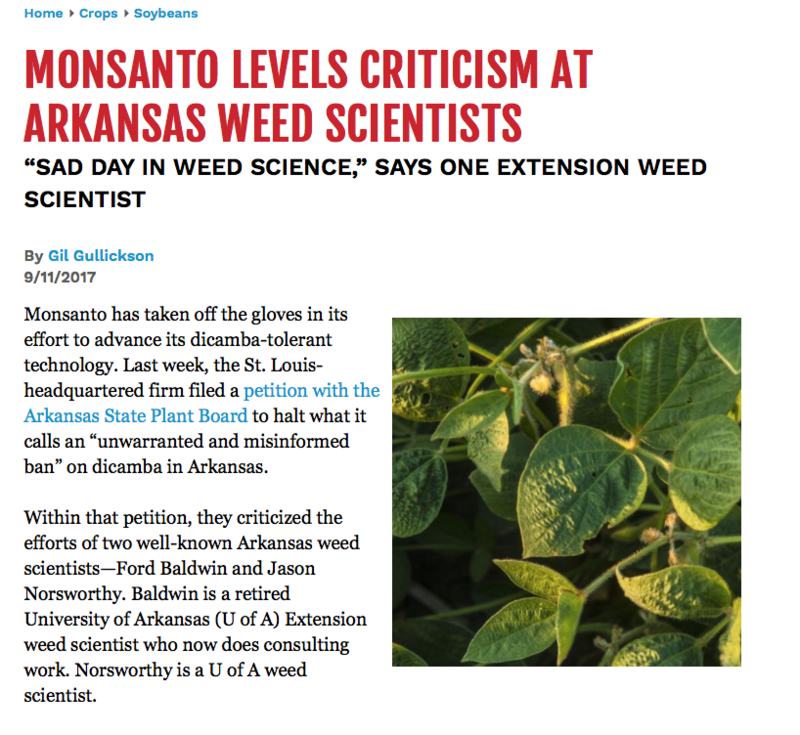 ← And we were worried about dicamba…..
Monsanto has all their eggs in one basket and pushed into a corner. They have acted like a bully in the past, this shows continued similar behavior. It’s too bad they cannot see the world in anyone elses’ glasses.